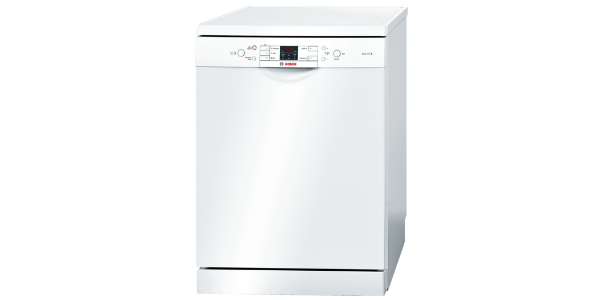 This Bosch dishwasher offers a really good value for the money. 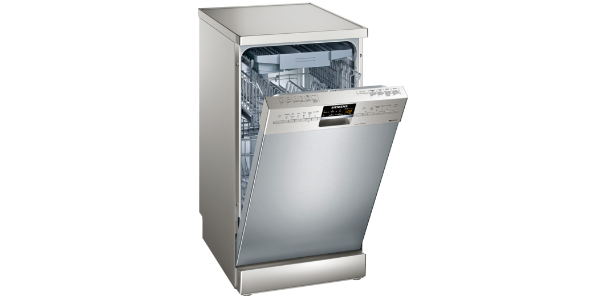 It has wash programs that can cover the dishwashing needs of any home and it comes with a range of useful features. Along with performing well and being versatile, this machine is also very efficient on both water and electricity. 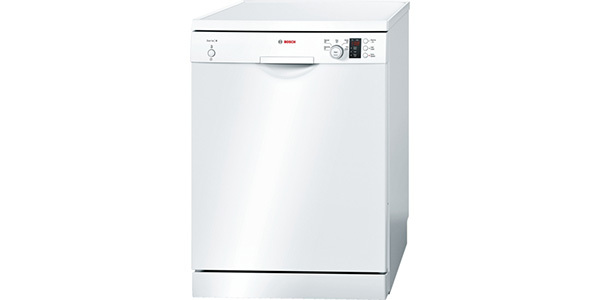 The Bosch SMS63M22GB is a top quality machine at a reasonable price and that should make it a consumer favorite. 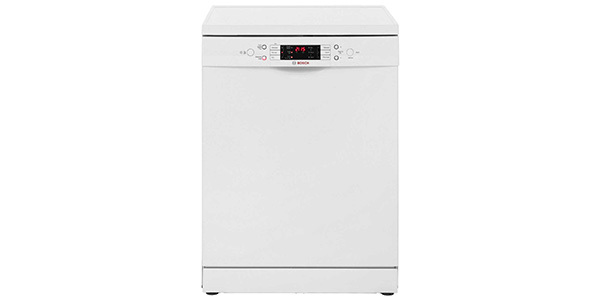 The Bosch Serie 6 SMS63M22GB dishwasher is a high quality machine the scores well in every category. This machine is easy use and it comes with all of the features and programs that you could need. In additions to that, it delivers excellent efficiency with an approximate annual energy consumption of about 262 kilowatt hours and water usage that goes as low as 6.5L per cycle. This model from Bosch offers a good amount of interior space and it has a range of adjustable racking features to make the interior extremely versatile. 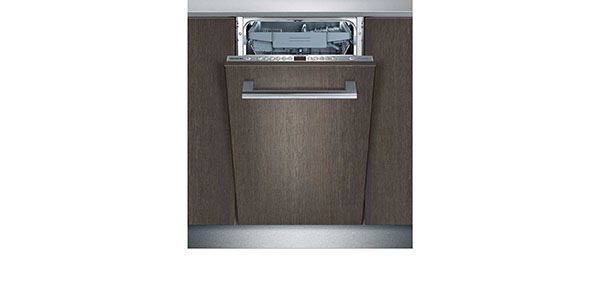 It is a full sized dishwasher that can fit up to 13 place settings in a load and you can also choose a half load option from the controls to save on water. It comes equipped with a height adjustable top basket that can be moved to three heights, foldable racks and trays and it even has a specific knife rack and a movable cutlery basket. For the features and settings, the user gets a nice assortment of options. It has a total of six wash programs and you have features that you can add like the half load, an intensive zone wash and a time saver. 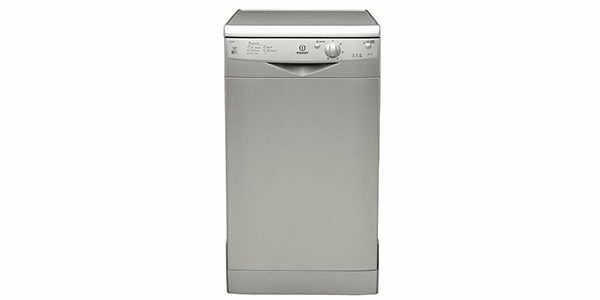 The programs on this machine include an intensive wash, economy, normal, pre-rinse, quick and delicate. This machine also has a 24-hour delayed start timer and a pause button for when the machine is running. The performance that you get with this machine is very good. The intensive wash provides a thorough washing for deeply soiled items and then you get an eco setting to save energy and a quick wash for when you are running low on time. The quick wash is only good for items that are just a little dirty, but the other cycles do work well for heavier soiling. Overall, this machine delivers first-rate results for cleaning. This model is also very easy to use. It has an electronic control panel with a digital display. Each cycle has its own individual button and then you have buttons to turn on the half load, the intensive zone and buttons for setting the delay timer. The display gives a countdown for the amount of time remaining in the cycle and it has indicators that tell the user which stage of the washing cycle the machine is in. Additionally, it has indicators for rinse aid, low salt and for check water. 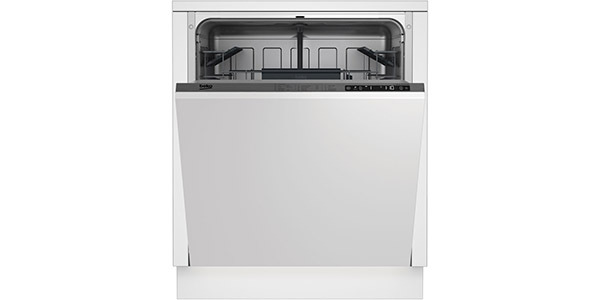 If you want quality engineering in a dishwasher, this machine also delivers in that regard. It has a stainless steel tub, a 3-stage corrugated filter that is self-cleaning and it comes with flood protection. 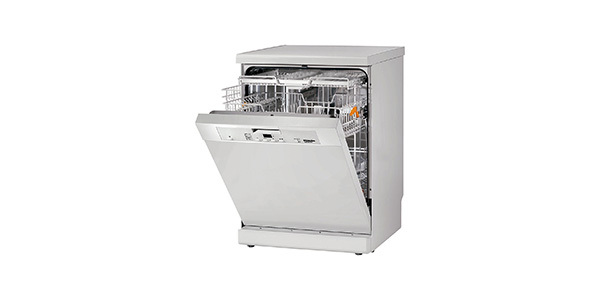 This is a solid machine that will provide reliable operation for almost any home.